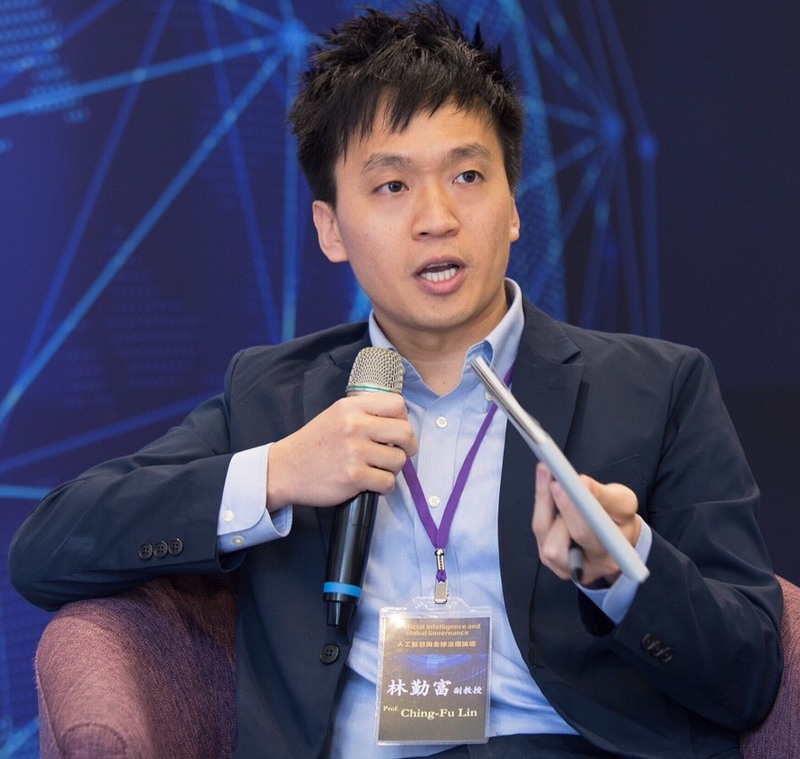 Ching-Fu Lin is Associate Professor of Law at National Tsing Hua University (NTHU), where he teaches global health law, food law and policy, artificial intelligence law and policy, introduction to law and technology, and international law and global governance. Professor Lin received his LL.M. and S.J.D. from Harvard Law School, with the honor of John Gallup Laylin Memorial Prize (best paper in public international law) and Yong K. Kim Memorial Prize (best paper in East Asian legal studies). He also holds a double degree in law (LL.B.) and chemical engineering (B.S.) from National Taiwan University. Professor Lin has served as Visiting Researcher at Berkman Klein Center for Internet and Society at Harvard University in the United States as well as Visiting Fellow at Graduate Institute of International and Development Studies in Geneva, Switzerland. He has also been Peter Barton Hutt Student Fellow at Petrie-Flom Center for Health Law Policy, Biotechnology, and Bioethics as well as Visiting Scholar Coordinator at East Asian Legal Studies Program, Harvard Law School. More recently, Professor Lin received the Junior Research Award from NTHU in 2017 and the Young Scholar Fellowship (2018-2023) from Taiwan’s Ministry of Science and Technology in 2018. Active in legal academia, Professor Lin has been invited to lecture in many academic/practical settings, such as the World Trade Organization, Summer Academy in Global Food Law and Policy in Spain, Brescia University School of Law in Italy, and World Food Law Program and the United Nations Food and Agriculture Organization in the United States. His legal scholarship has appeared in numerous journals and edited collections, including Virginia Journal of International Law, University of Pennsylvania Journal of International Law, Columbia Science and Technology Law Review, Food and Drug Law Journal, Journal of World Trade, and International Journal of Law and Information Technology. *See Ching-Fu Lin’s Publications, Academic Presentations, Courses, and Honors & Awards. Visiting Scholar, Berkman Klein Center for Internet & Society at Harvard University, United States (Sep 2018 – Dec 2018). Assistant Professor of Law, National Tsing Hua University, Taiwan (August 2015 – July 2018). Visiting Fellow, Graduate Institute of International and Development Studies, Geneva, Switzerland (Sep 2014 – May 2015). Faculty, Summer Academy in Global Food Law and Policy, Spain (July 2016, July 2014 & July 2013). Researcher, Asian Center for WTO & Int’l Health Law and Policy, National Taiwan University (June 2012 – Present). Peter Barton Hutt Student Fellow, Petrie-Flom Center for Health Law Policy, Biotechnology, and Bioethics, Harvard Law School (Sep 2013 – May 2014). Coordinator (Visiting Scholar Program), East Asian Legal Studies Program, Harvard Law School (Sep 2013 – May 2014). Summer Academic Fellow, Harvard Law School (2013 & 2011).